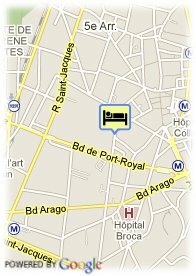 20 Rue Berthollet, 75005 Paris, France. This four star-hotel will surprise you with its innovating concept: a moving bar and a magical atmosphere salon. To live the experience Seven will you choose one of the 28 rooms in levitation or one of the 7 astonishing and coloured suites. 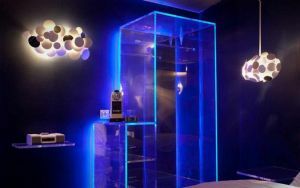 This luxury establishment is the brand new design hotel in Paris which offers modern facilities and a tasty decoration. Hotel Seven is located in the heart of Latin district and very close to the Panthéon and Sorbonne University and few steps from Cathedral Notre Dame, from Jardin des plantes and jardins du Luxembourg. Parking public payant proche de l'hôtel (plein air) (3.90 km).